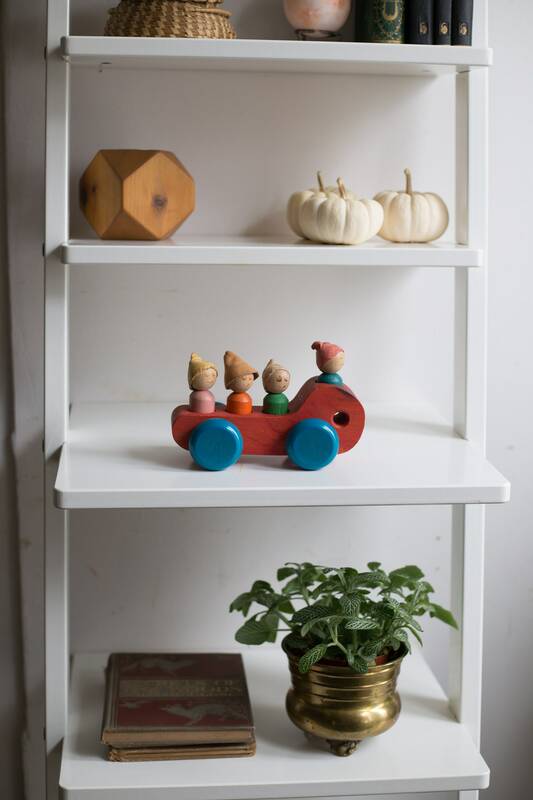 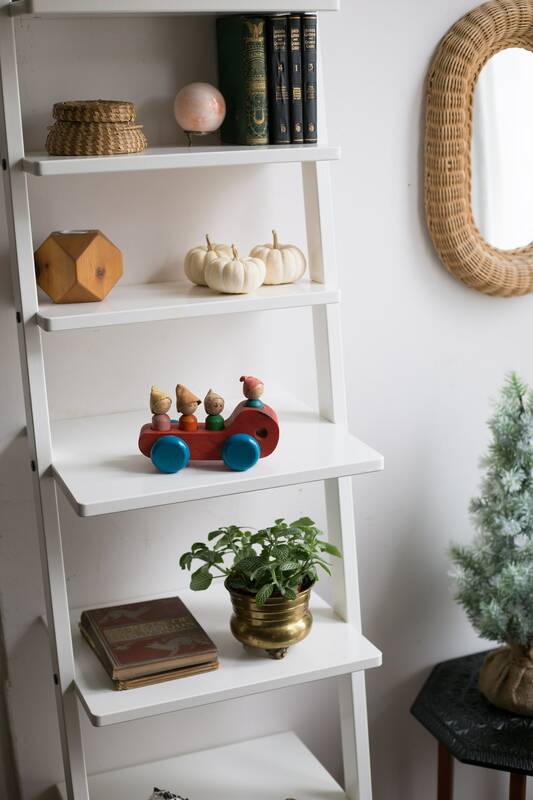 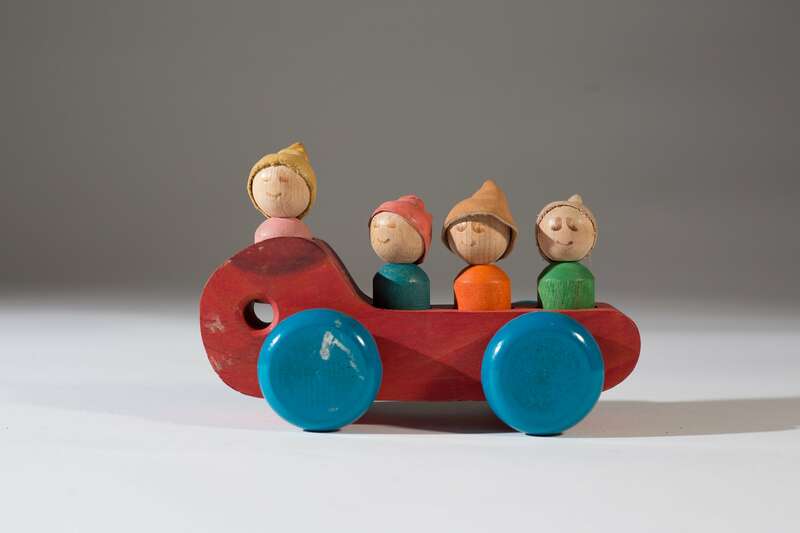 Add some rustic charm to your decor with this adorable child's toy car with removable figurines. 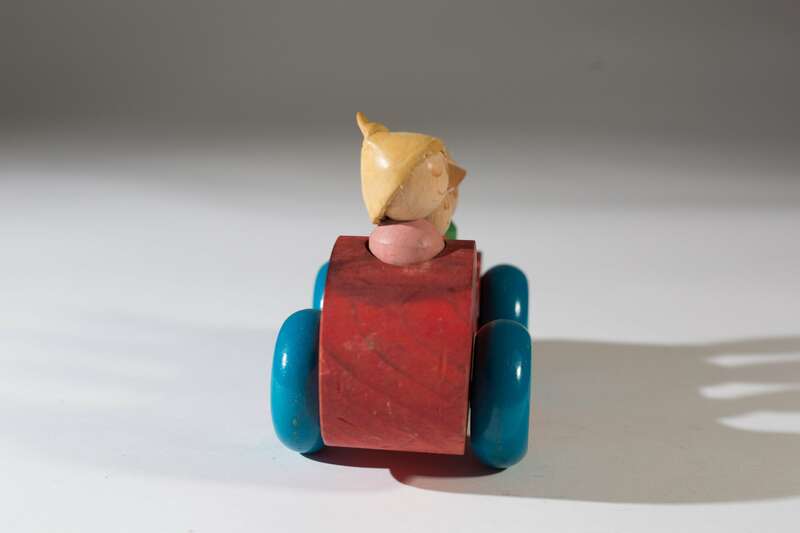 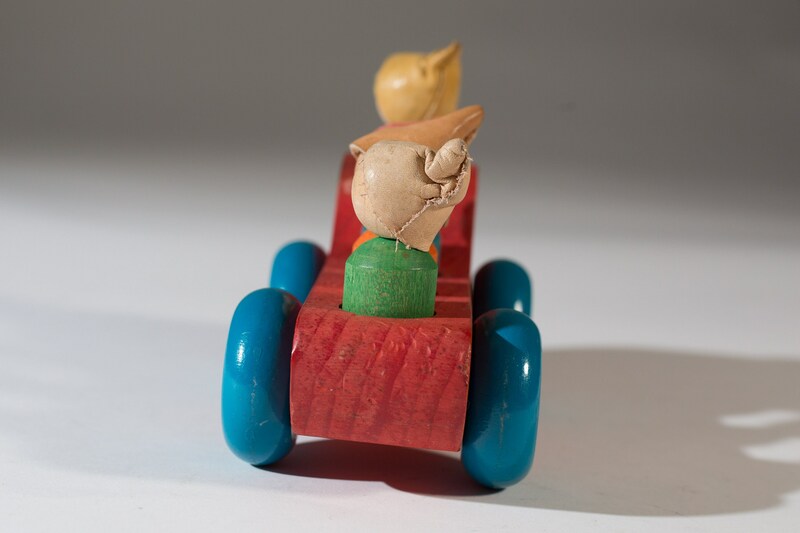 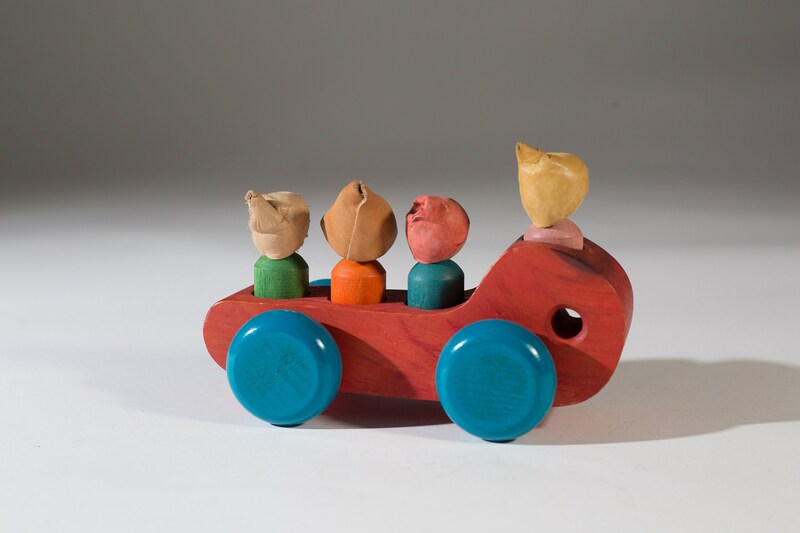 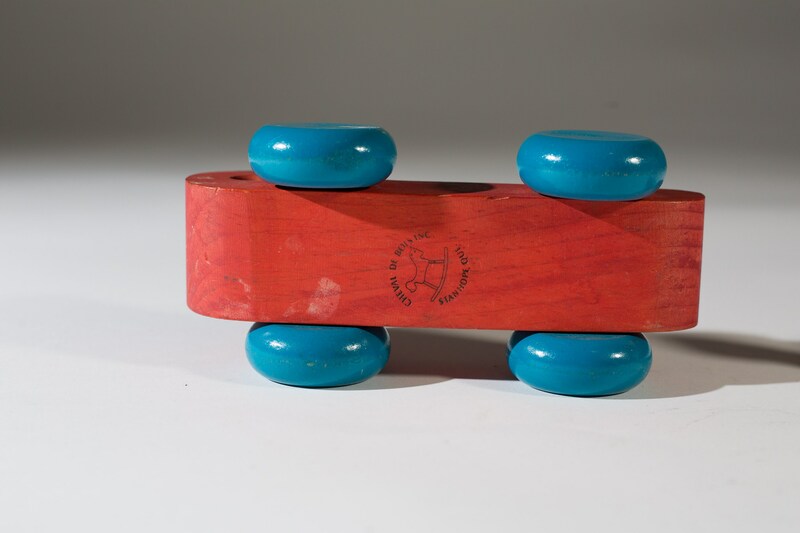 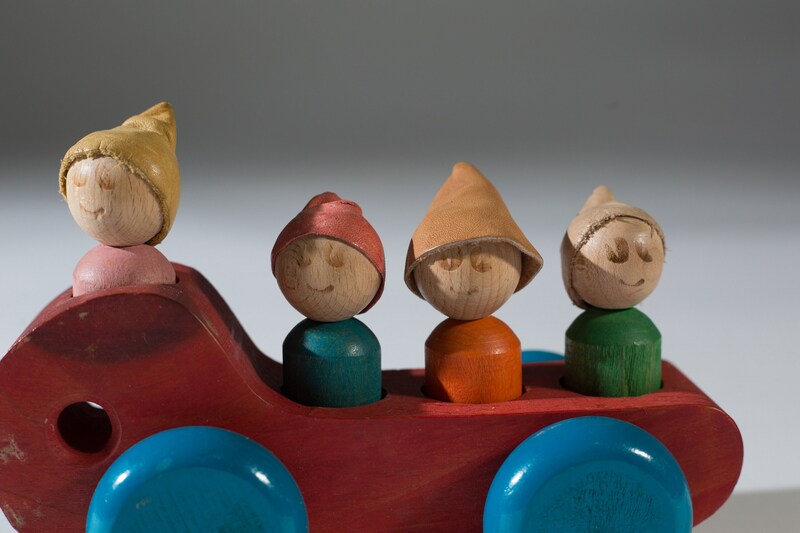 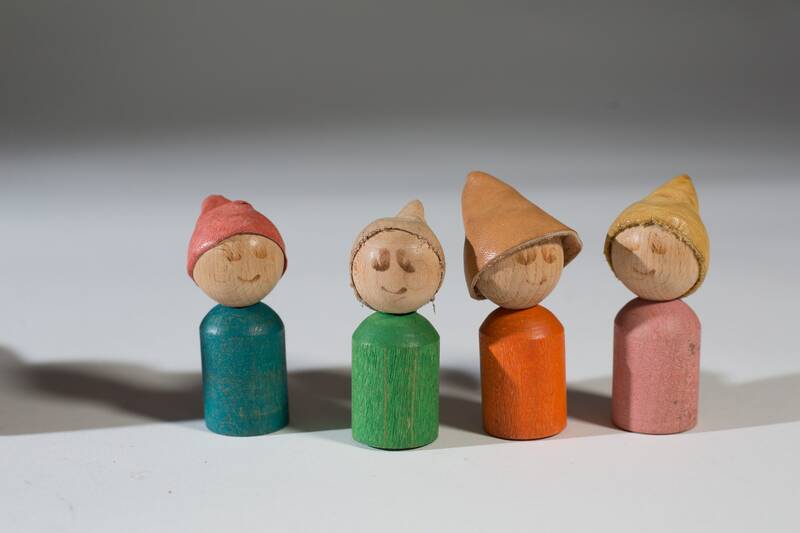 It is a hand carved and hand painted children sitting on a car with wheels. 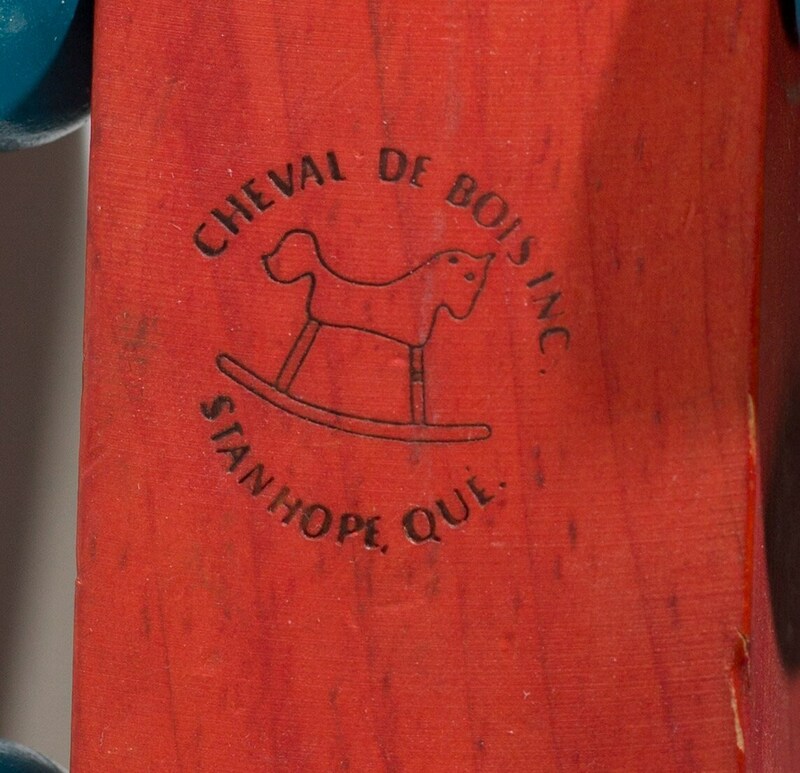 Stamped on bottom, "Cheval De Bois, INC. Stanhope, Quebec".